Show someone special you care with a carefully cut spray of mistletoe. As shown, this pattern can be used as a decoration around the house. 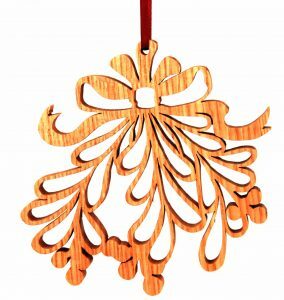 Reduce the pattern to roughly 75% of its size to make Christmas ornaments for gifts or craft sales. 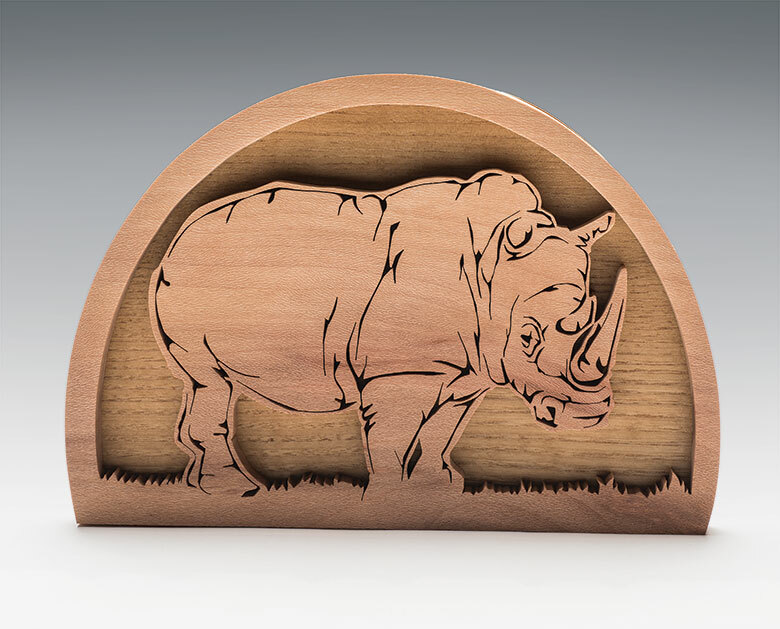 Using 1/4″ (6mm)-thick wood, you should be able to stack-cut two and possibly three ornaments comfortably. 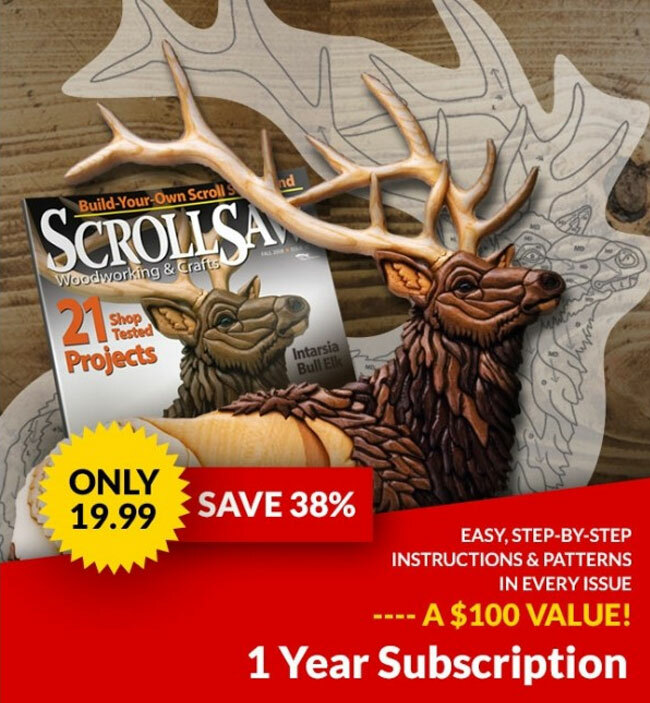 If you like to color wood, you could shade the ribbon at the top red and the berries at the bottom white; I prefer natural wood colors. The hole at the top is intended for attaching ribbon or fishing line to hang the project. Adjust the size of the hole as needed for your hanging material. Click here to download the mistletoe pattern. 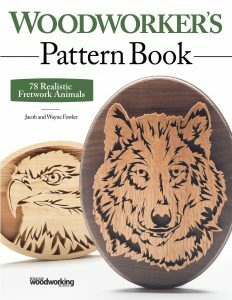 Woodworker’s Pattern Book, a collection of scroll saw animal portrait patterns by Jacob and Wayne Fowler, will be available in December. 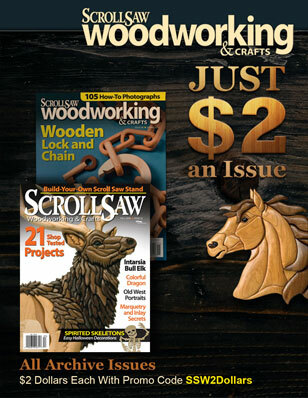 Look for it at your local retailer or order online from Fox Chapel Publishing.